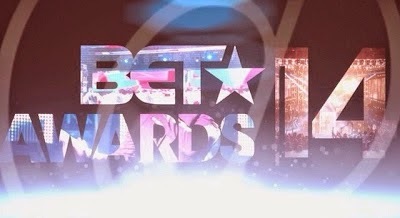 On Sunday evening in Los Angeles at the Nokia Center, the 2014 BET Awards took place and boy, was it eventful. Stars graced the red carpet in their best dressed, whilst there were pre-show performances from Tinashe, French Montana, Rick Ross, Meek Mill and DJ Khaled to name a few. Model/stylist Karrueche Tran hosted the official BET Digital live stream and done an okay job especially as it was her first time, and as she's not a presenter. The night was hosted by comedian/actor Chris Rock he kept guests entertained all night with his jokes and banter, some of which I hope no one found offensive - especially Rick Ross. And just like the Oscar awards he took a leaf out of Ellen Degeneres book and handed out food, this time not pizza but the popular Roscoe's Chicken and Waffles. Chris Brown, Pharrell, Missy Elliott, Nicki Minaj, all performed on the night - with powerful couple Beyoncé and Jay Z closing the night with a pre-recorded performance of ‘Partition’ accompanied with a whole new opening verse from Jay, as they are currently on their ‘On The Run’ tour across the States. Beyoncé, Pharrell and newcomer - August Alsina all won big at the awards as they bagged two awards each. Kerry Washington lost out to Lupita Nyong'o who won 'Best Actress' and first time nominees - African act Davido, and UK duo Krept and Konan won 'Best International Act' in their respected categories. Congratulations to all those nominated, and those who won! Check the full list of winners below!